How to claim Health Insurance not being denied? There are 4 things that you as an insurance participant need to take note of. Who is not furious when health insurance claims are denied. I've been there. "The pain is here". "Already pay premiums - expensive, eh when I want to claim the insurance can not replace for various reasons", so the complaints of policyholders who claim failed. That's a reasonable complaint. Because when taking insurance, no one who wants to claim rejected. How to prevent your claim from being denied? I am evaluating claims of friends and blog readers who have been rejected. I find that many claims are rejected because the submissions and documents do not comply with the requirements set forth in the policy. Terms in the Policy is the legal basis that must be met by policyholders and insurance companies. The problem is, many insurance participants do not read the policy well. Here are the key points that you need to look into in the policy so that health insurance claims are accepted. Health insurance requires a grace period. During the waiting period, the insured is not allowed to make a claim. Usually the waiting period is 30 days or 60 days after the policy is approved. For example, the policy is approved May 1, 2015. With a 30-day waiting period, your claim can only be accepted after 30 days from May 1, starting on May 31, 2015. So if you or a family member is hospitalized in the grace period, for example May 10, 2015 (using the example above), the claim will not be accepted by the insurance. Make sure you understand how long the health insurance waiting period. Therefore, the sooner you apply for better health insurance. Because when the policy is approved, you can not immediately claim before the waiting period is passed. Not all diseases have a 30 day or 60 day waiting period. There are diseases with a longer waiting period of 12 months. I took the example of a Prudential health insurance that lists 19 specific diseases that the insured person can claim after 12 months after the policy is approved. If claims for these diseases before 1 year after the policy is approved, your claim will be rejected. Pre-existing condition is a health insurance provision that mentions participants suffering from a disease or a pre-existing condition. Can be seen in the picture above about the condition of Pre-Existing Condition that I take from Prudential Health Insurance brochure. The insurer will not pay anything in case the insured has pre-existing condition. Thus, all illnesses that the insured suffered before the approved health insurance policy will not be covered by the insurance. First, the definition of hospitals and clinics according to the established insurance. Make sure you read and fill it up when hospitalized. Because if the hospital or clinic where you stay is not in compliance, the claim will be rejected. Second, what is meant by hospitalization. In each insurance is different - different about how many days the insured must go inpatient who can be filed claims. There is an insurance that requires a minimum of 2 days of new hospitalization can be claimed. 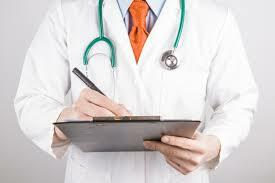 However, there are other insurance that requires 1 day hospitalization can already claim. This provision should be ensured in the policy. The rejected claim was painful. I have experienced it myself. How to claim not to be rejected? You must understand the terms of the insurance policy because that is the basis for the payment of claims. There are 4 things you should make sure that the insured's health insurance claim costs are paid by the insurer. I hope this helps !